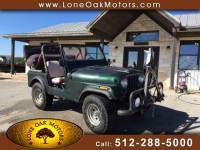 ...1965 Jeep CJ5 runs great for age 50+. 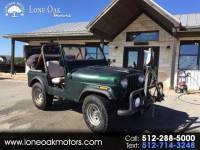 Has a hard top(Very rare to find) and tow bar also. Call or txt Jack 361-four63-6146.